On our research trip in Oaxaca, Wolf and I sat on a roof-top terrace overlooking the church of Santo Domingo de Guzman. As the sun set, we sipped our mescal cocktails, gazing out on the lights and bustle of the city and the activity in the square below. Suddenly we saw that people were gathering outside the church for a wedding. 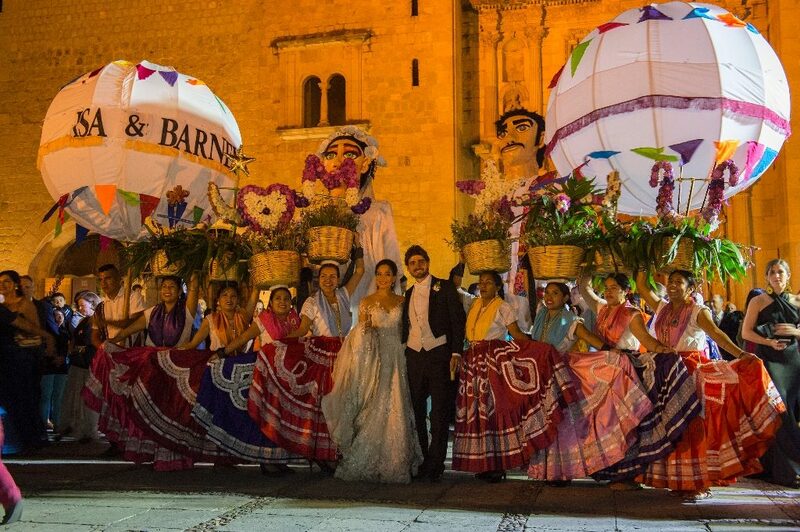 Giant bride and groom puppets, dancers in eye-popping dresses, and a smartly attired mariachi band appeared. “Let’s go!” Wolf said. 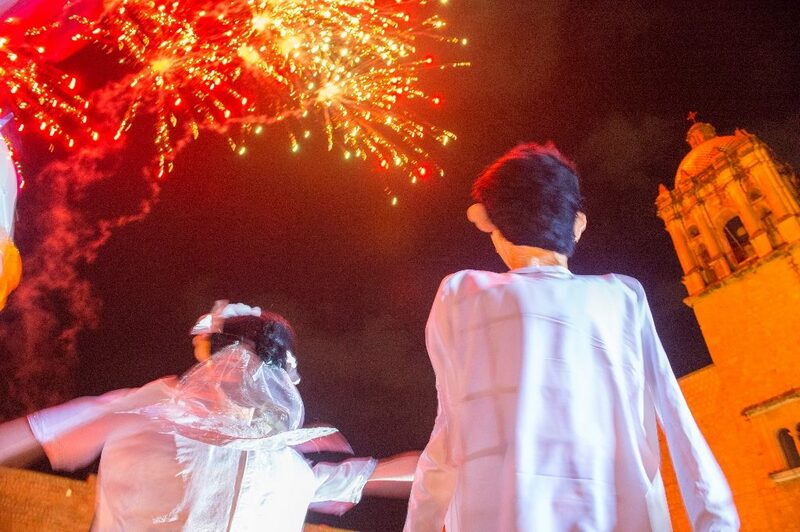 We joined the festivities as city folk and tourists alike gathered for the spectacle. When the bride and groom, along with their entourage, emerged from the stunning baroque church, fireworks erupted, trumpets sang, and the entire square burst into celebration. 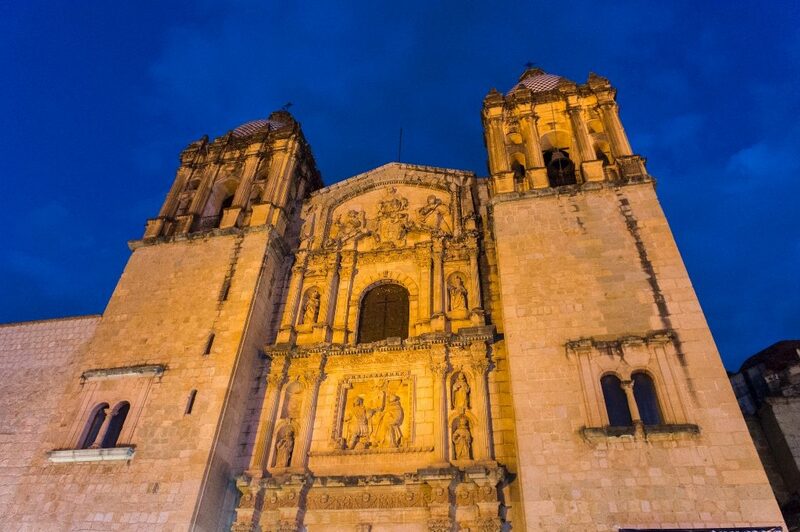 It is said that Santo Domingo and Oaxaca is a wedding hot spot for couples from Mexico City. We hope to see one of these elegant and stunning events on our trip next year! Join us for this amazing experience!